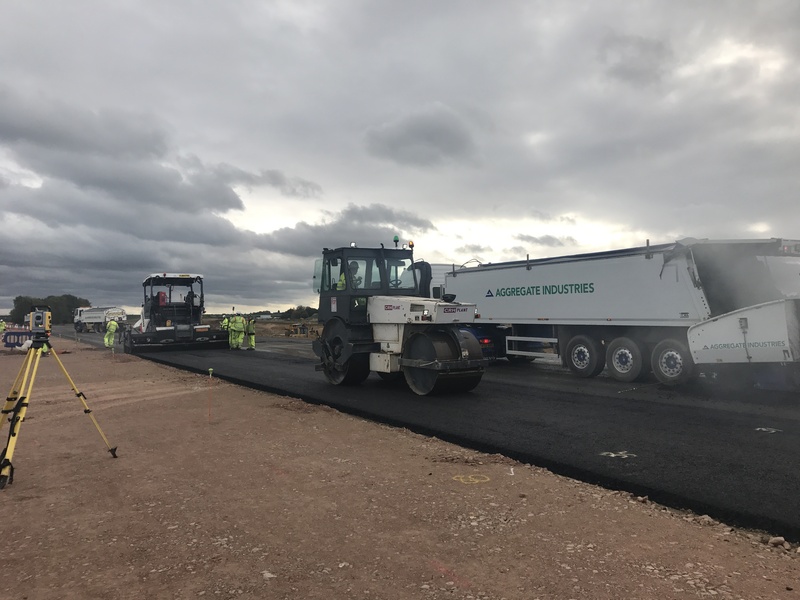 LafargeHolcim’s UK company Aggregate Industries has won a four year contract to deliver pavement solutions to Highways England. The total value of the works is estimated to be in excess of GBP 500 million. Highways England, which operates, maintains and improves roads in England, awarded Aggregate Industries five of the six Major Regional Lots, under the new Category Management Framework. Under the contract Aggregate Industries will deliver asphalt and cement bound works on Highways England's Regional Investment Programme. Today’s announcement continues LafargeHolcim’s recent success in the UK, following the selection of Aggregate Industries to exclusively deliver the surfacing works for England’s largest road improvement project, the A14 from Cambridge to Huntingdon. Over a 30 month period, Aggregate Industries will create in excess of 20 miles of new, multi-lane carriageway using local primary and secondary aggregate supply sources. The project will require the supply and installation of 700,000 tonnes of asphalt and 500,000 tonnes of cement bound granular material. The contract was awarded after a 12 month tender process, where the company demonstrated a clear desire to deliver a world class service through close collaboration, innovative products as well as IT solutions and processes. LafargeHolcim is the leading global building materials and solutions company serving masons, builders, architects and engineers all over the world. Group operations produce cement, aggregates and ready-mix concrete which are used in building projects ranging from affordable housing and small, local projects to the biggest, most technically and architecturally challenging infrastructure projects. As urbanization increasingly impacts people and the planet, the Group provides innovative products and building solutions with a clear commitment to social and environmental sustainability. With leading positions in all regions, LafargeHolcim employs approximately 80,000 employees in around 80 countries and has a portfolio that is equally balanced between developing and mature markets.